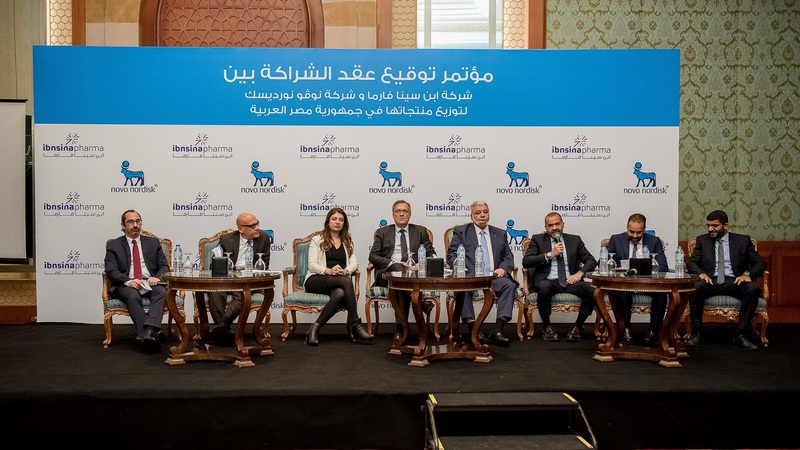 The companies signed two contracts authorizing Ibnsina Pharma to distribute 20+ stock-keeping units of life-saving diabetes care and other Novo Nordisk’s products in Egypt and establishing a partnership between the two companies. Ibnsina Pharma (ISPH.CA on the Egyptian Stock Exchange), Egypt’s fastest-growing and second-largest pharmaceutical distributor, has signed two contacts with Novo Nordisk, leading manufacturer of insulin and haemophilia treatment , to distribute over 20 stock-keeping units of its diabetes care , haemophilia and growth disorders products in Egypt. Previously reliant on one public-sector distribution company and one private distribution company, Novo Nordisk will join a group of over 325 domestic and international suppliers who rely on Ibnsina Pharma to distribute their products to over 39,000 pharmacies, retail chains, wholesalers, public and private hospitals across Egypt. In preparation for distributing this new array of medical products, Ibnsina Pharma invested EGP 2 million in additional warehousing facilities and allocated 28 specialized trucks to deliver Novo Nordisk’s cold-chain products. Currently the company has a total of 55 operational sites across the country. As part of the conditions to attain these new contracts Ibnsina Pharma also passed Novo Nordisk’s due diligence and operational audit to meet international standards.